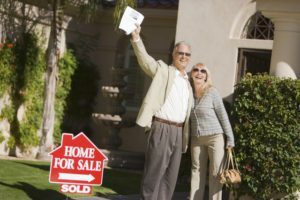 As the Baby Boomers reach the age of 62 and start retiring they are often looking for a new home. It may be one without stairs, in a warmer climate, or one closer to family and friends. The challenge is to not only find a mix that meets the needs of seniors but also enables them to purchase a home. Mortgage South can help in regards to this dilemma. Reverse mortgages are available to homeowners who are 62 years of age or older. It allows them to convert part of their equity in a home into cash. It has been able to help retirees use the equity in their homes to cover various monthly living expenses, and even pay for health care. Provides financing so one can re-size to a lower maintenance home, a one-level home, a home more suitable for aging in place, move to be closer to children or even purchase one’s “dream home”. What sources are allowed for the cash required to close? What requirements must the new home meet? What can’t be used for the cash required to close? Which home is the reverse mortgage loan for? What are property types eligible?